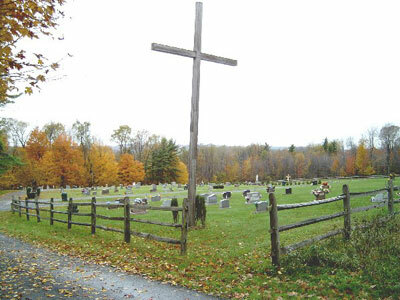 St. Michael Catholic Cemetery is located in Adams Township on WPA Road about 1/2 mile from the church. Coming from St. Michael, turn onto WPA Road and travel about 1/2 mile. Tombstone Drive is on the right. Follow it to the end and there you will find the cemetery.